Kate Larabee has the perfect life! Or so she thinks...She’s about to get engaged to a handsome lawyer, she lives in a fancy loft in Downtown Los Angeles and is on track to become managing editor for L.A.'s primo travel magazine. When her would-be-fiancé Charlie leaves her unexpectedly for his high school sweetheart, Kate finds herself flung into emotional chaos, causing her to question the ideal life she thought she had so perfectly acquired. As she makes her way across the country, stopping in places like Sedona, Santa Fe, Austin, and New Orleans, Kate meets a quirky cast of characters that serve as guides helping to illuminate the road less traveled, a journey she must make: the path to self-discovery and acceptance. 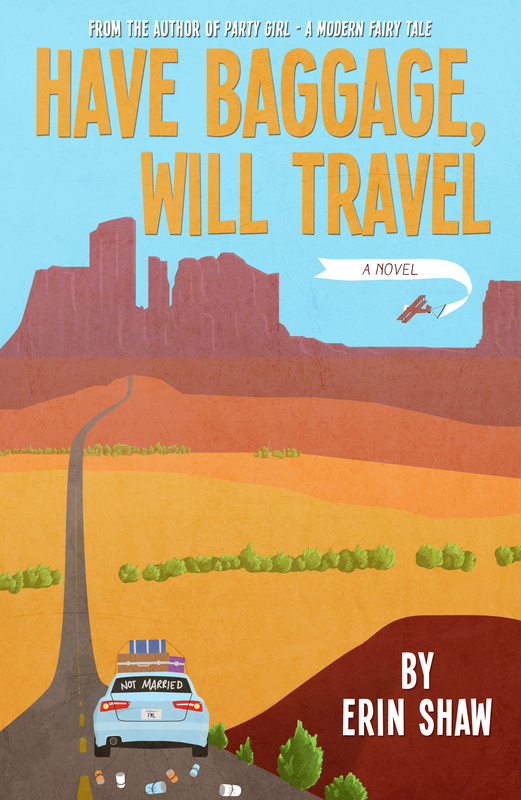 "Have Baggage, Will Travel" is the sophomore novel by Erin Shaw and explores the sheer panic, total vulnerability and pure exhilaration that come with starting over.